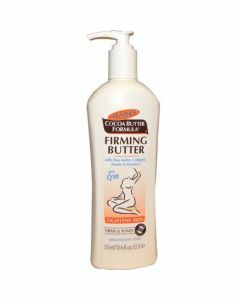 Palmer's Cocoa Butter Formula daily body lotion provides deep & long lasting hydration to dry & uncomfortable skin! 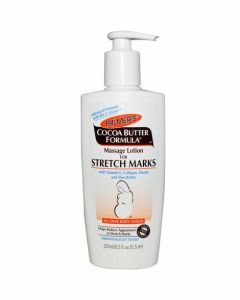 The Palmer's Cocoa Butter Formula Pump Body Lotion has been specially enriched with a combination of ultra nourishing ingredients, including Cocoa Butter & Vitamin E. Cocoa Butter is a rich natural moisturiser which leaves skin soft and silky smooth, transforming even the roughest, driest areas into buttery soft skin. Vitamin E is a powerful antioxidant which helps to improve the appearance of scars, stretch marks and imperfections on the skin, giving a more even and toned appearance. 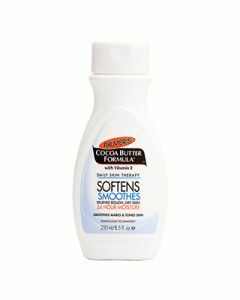 Use Palmer's Cocoa Butter Formula "Pump" Body Lotion as an all-over-body lotion after showering. For better results, use the lotion twice a day and apply it all over your body.